It’s time for another visit to Illinois, another state where legislation authorizing online poker for its state’s residents has been drafted and submitted into the political process. 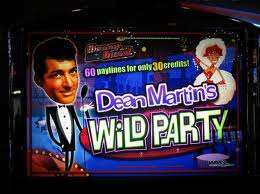 WMS-manufactured slot machines are among the most popular casino offerings. Unlike several other states, however, and as we noted here at FlushDraw in our first look at the state last week, the online-poker stuff isn’t being looked at on its own, but is instead a part of a much larger casino-expansion war that’s being fought in Illinois. The online-poker provisions did represent much of the new text added to a massive 555-page omnibus gambling bill submitted by State Sen. Terry Link on March 6th, most of which is a rehashing of the previous form of the gambling bill, which has been the topic of repeated pushes through the Illinois state legislature, and which was vetoed in its previous “latest” form by Governor Pat Quinn just a couple of weeks ago. With little delay, this latest form of the bill (Senate Bill 1739) was re-introduced by Link, who is one of the gambling bill’s largest proponents. Yet the ink was barely dry on the introduction of SB 1739 when Link filed a brief series of amendments on March 7th, the following day. It’s among those amendments that the “bad actor” provisions regarding online-gambling licensing became a bit of a story, even as those writing on the situation (including yours truly) were still wading through the massive text of the original bill. No certification shall be granted to an Internet gaming vendor who has accepted wagers via the Internet in contravention of this Act or in contravention of the any law of the United States. This would have presented problems, not the least of which is the presumption of guilt without any form of a trial. And Link quickly submitted amendments to both instances, replacing “accepted” with “convicted of accepting”. Huge difference. The language as originally authored would have locked out a whole lot of companies with online-poker experience that could come in handy in a new era of regulated Illinois online poker. A lot of people have asked, “Does this mean PokerStars can apply for a license in Illinois if the bill becomes law?” The answer is yes, but the watering down of the bill via these amendments doesn’t look like it had anything to do with PokerStars. The original bill would have affected pre-UIGEA sites as well, including PartyGaming (PartyPoker), William Hill, Playtech (several sites), and 888 Holdings (Pacific Poker, 888 Poker). The trail to Link’s amendments likely leads to 888 Holdings PLC. 888 is already among the sites approved to do business in Nevada, and recently announced the creation of the All-American Poker Network, which we also reported on a few days back. 888 has partnered up with several other firms in Nevada and elsewhere, including Caesars Entertainment, Treasure Island, and an important casino-hardware manufacturer, WMS Gaming. WMS Gaming, part of WMS Industries, recently purchased by Scientific Games, is a major Illinois corporation. It has a facility in Chicago, and its corporate offices are in the North Shore suburb of Waukegan. Waukegan, essentially, is the 30th State Senate district of Illinois. And the state senator serving that district? You guessed it, Terry Link. Link’s a gambling proponent because this benefits a major employer in his district, WMS, and the amendments added to SB 1739 have nothing to do with PokerStars, but are instead likely intended to make sure that the deal between WMS and 888 doesn’t run into any home-territory legal difficulties in Illinois, should this larger casino bill ever negotiate a difficult path to becoming law. As for WMS, they’ve been around for many decades. They’re known for their slot machines and such these days, but their original claim to fame? All those “Williams”-branded pinball machines of yore. Pinball machines don’t account for as much revenue these days, but that’s where WMS came from.